If you're a reader and/or collector of comic books I imagine that at some point in time or another you have heard about the Certified Guaranty Company, or, "CGC," for short. They are an business entity which you can send a comic into and have "graded" based on its overall condition. After being graded the comic is sealed within plastic (a process known as "slabbing") and proudly displayed with its grade as a sort of conversation piece/item to be traded and sold. An example of a comic once graded and "slabbed". The scale of grading can go from basically atrocious to a comic being a perfect "10", with older and famous comics that get a bad grade still being valuable due to their scarcity. A comic that has been graded can go for much more money than one which hasn't had any sort of official statement of quality. How exactly the CGC became the go-to source for a comic's grade and why their word is taken as gold is something I'm not sure of, but they are basically the first and last word when it comes to the grading of comic books. I have feelings about the CGC that could best be described as, "complicated." Some people absolutely despise the CGC, such as popular independent comic-maker Derf, who recently made some choice comments about the company. Other people who buy and sell comics as a business rely closely on the CGC so as to know the comics they have are actually worth something, and that any signatures upon them or such are authentic, etc. With so many strong opinions both for and against the CGC I feel a little awkward not having a definite stance, but I can see the uses and problems with the CGC at the same time, and it makes things a little thorny. I've always felt the point of owning a comic is to be able to read it and enjoy it. If you take your comic and have it "slabbed" you basically now have something where besides the front-and-back cover you can never read the contents--unless you smash the thing out of its encasement, of course. 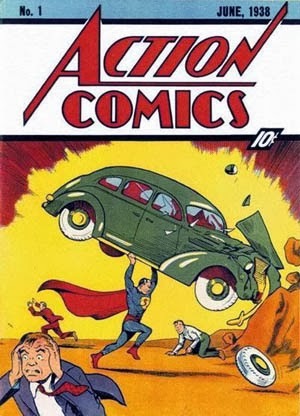 This would make me sound like someone who dislikes the CGC, but if I were ever to get my hands on an "Amazing Fantasy #15", "Action Comics #1", or the first issue of "The Walking Dead", I wouldn't hesitate for a second to get that sucker graded, slabbed, and then either stored away safely or sold to someone who wants to give me lots of money. Should I ever own a copy of this, it's getting "slabbed" and sold ASAP. Don't judge, I have student loans to repay! Whilst I would get certain comics graded and slabbed without question, I begin finding the whole thing absurd when you get a comic that maybe is worth 20 dollars or less being graded and then sold for hundreds of dollars if for no other reason than it was in "perfect condition". When something that like happens, the whole thing stinks of stupidity. Another example could be when a comic is worth less than it costs to grade it (prices can vary, but expect to spend at least 20-50 bucks); when that occurs I feel we've thrown logic out the window. I don't own any CGC graded comics, and I don't think I have any valuable enough to bother getting graded. Perhaps some of my favorite comics could be slabbed if for no reason other than to preserve them, but then how can I read and enjoy these favorite comics now that they are stuck in plastic? There is the argument that with digital taking off people can have their comics slabbed but still be able to enjoy them by reading a digital copy. Fair enough, but I'd really rather be able to flip through one of my favorite comics than just stare at the physical copy stuck in clear frame (of sorts) while I skim the digital-version. 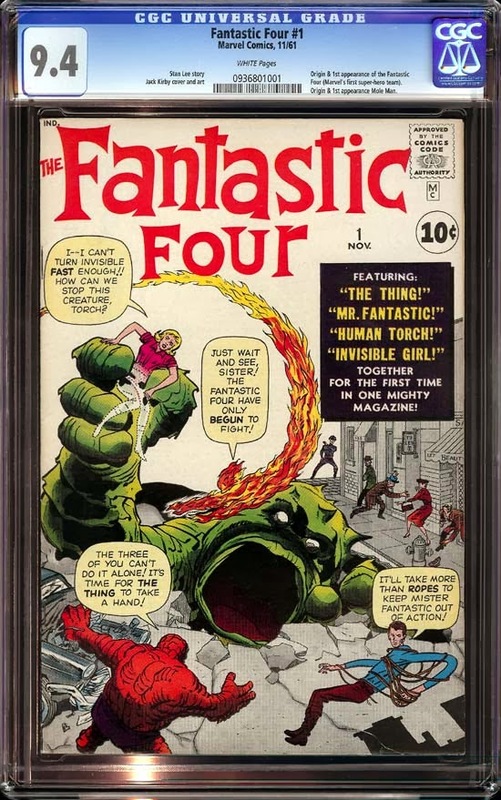 The CGC provides a service that some find vital in comics--they have a universal rating system all can rely on--but they also serve to take something I enjoy and make it little more than a commercial product people can buy and sell. Then again almost anything we do for enjoyment can be (and often is) made a commodity, so why should I bemoan the CGC when people have been doing basically the same thing with sports cards and other memorabilia for so long? I may end up never using the CGC, and I may also have some hostile feelings towards it, but I can also see a use for it, and for that reason you won't see me protesting the existence of the company. I won't be singing praises of the CGC anytime soon either. As I said, my feelings are complicated. Probably because at the end of the day this is a complicated issue without much black-and-white answers. It's all various shades of gray...kind of like the varying levels of quality comics can be given--or did I just blow your mind? The difference is that people who buy and sell CGC pieces are buying collectibles, basically pieces of framed art, and people who buy comic books raw and know enough about grades to know what to pay are actual collectors. And the real issue isn't CGC. They're filling a niche in the economy of comics. If people thought that mummifying a comic was stupid, they'd be out of business. But they're not, because people are willing to pay for a cheap comic and cover the cost that the owner paid in getting it graded and slabbed without question. Perfect example: I'm a huge fan of the Rocketeer. One of my favorite characters and I love Dave Stevens. His first cameo and appearances came in Starslayer 1, 2 and 3 in the early 80's. I've picked these up on ebay for 15 dollars (with shipping) and they are beautiful, VF+ condition at the very least. A recent listing of Starslayer 2 popped up with a CGC grade of 9.8 on eBay and I figured "why not watch and see what it goes for?" With 5 days left in this writing, it sits at $70 plus $10 shipping. Insane. As long as idiots are willing to buy a $10 comic for $100 just because it's certified mint, people will continue to buy books that look great, get them slabbed and ask for exorbitant prices, recoup their investment and do it again. It's a bummer, because most of the comic community (in my experience) wanted a simple third party verification to ensure a comic was what the seller advertised it as, and instead we got a monster that exponentially inflates comic prices. I'd be shocked if the bottom doesn't fall out and pop the comic bbble at some point. A very solid point, Ethan, that people who buy graded books are arguably buying collectibles more-so than actual comics. As long as people are willing to pay for graded books sales will indeed happen. I too just worry about a bubble bursting and what could happen to comic-books as an industry should such a thing happen.